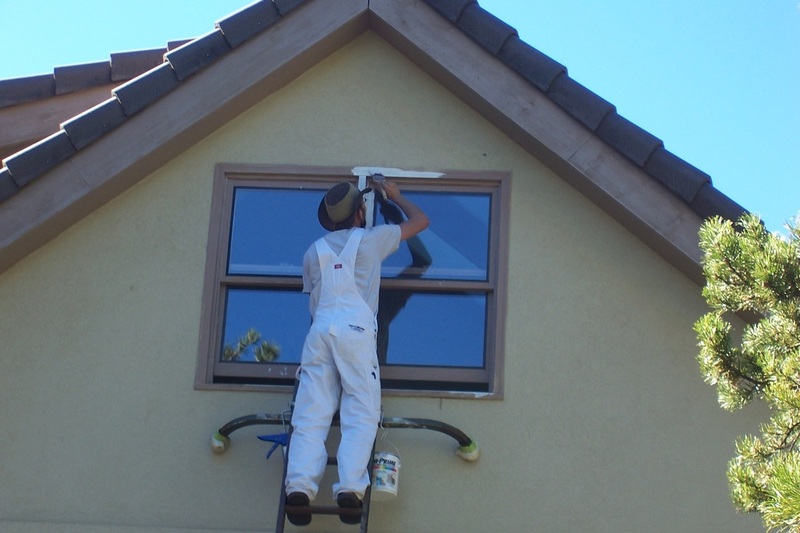 We are your full service painting contractor. 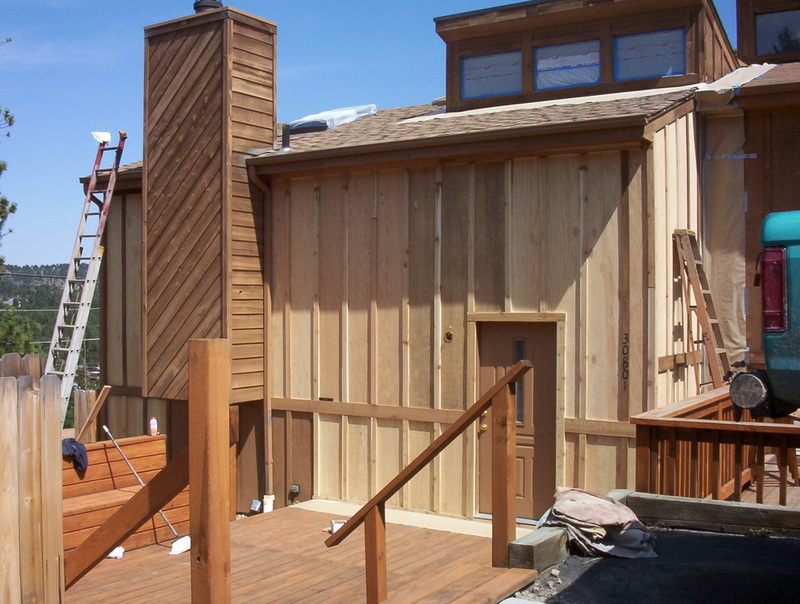 Although we specialize in interior and exterior painting and staining, we also cover many other aspects that are often associated with these projects. 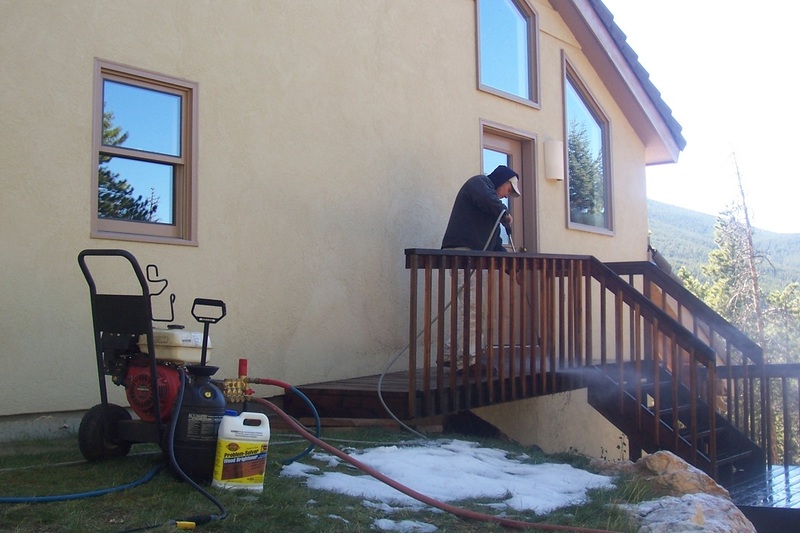 We often perform drywall repairs and siding replacement, but also take care of things like water delivery for pressure washes, all in an effort to make it simple for you, the client. 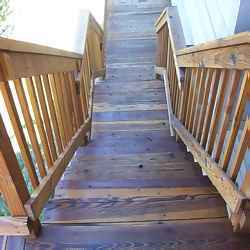 We are not opposed to finishing someone else s job, whether it be an area you could not reach or another painter that had walked off the job. 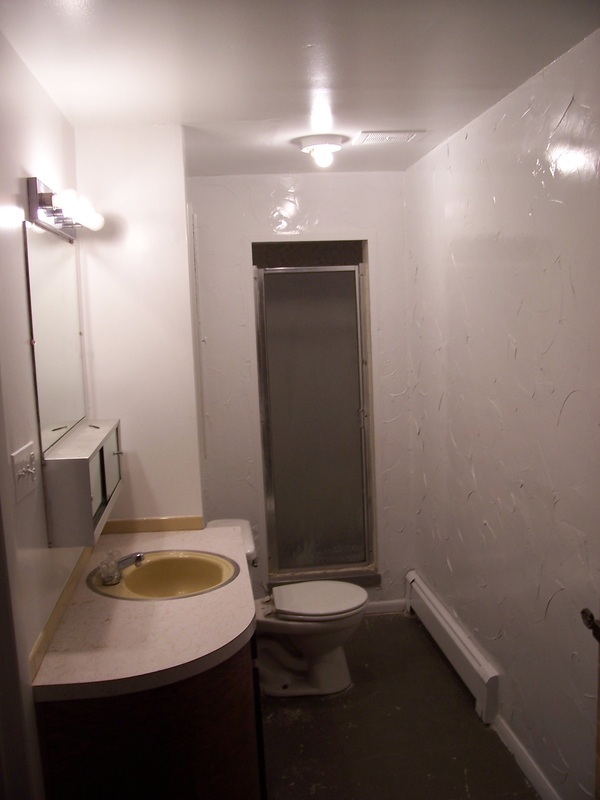 If repairs need to be made, there is no need to call another contractor. 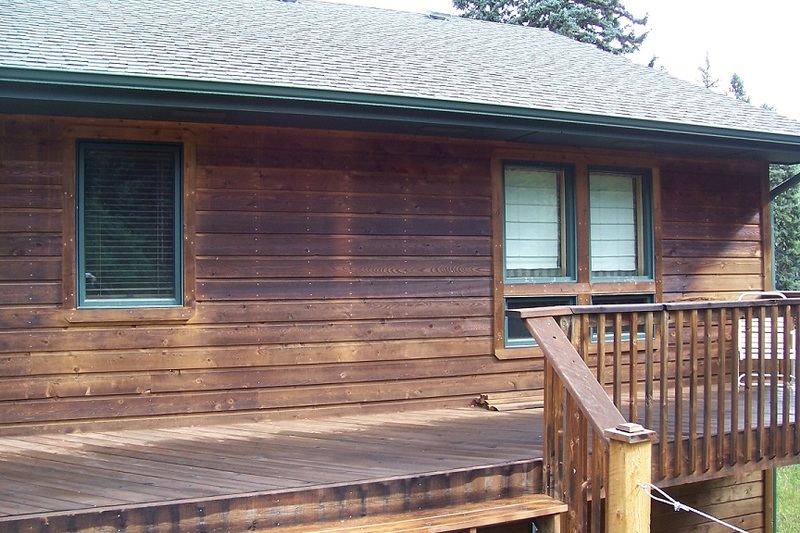 We can take care of most deck, siding, stucco, drywall and other minor repair. Surface prep is important. 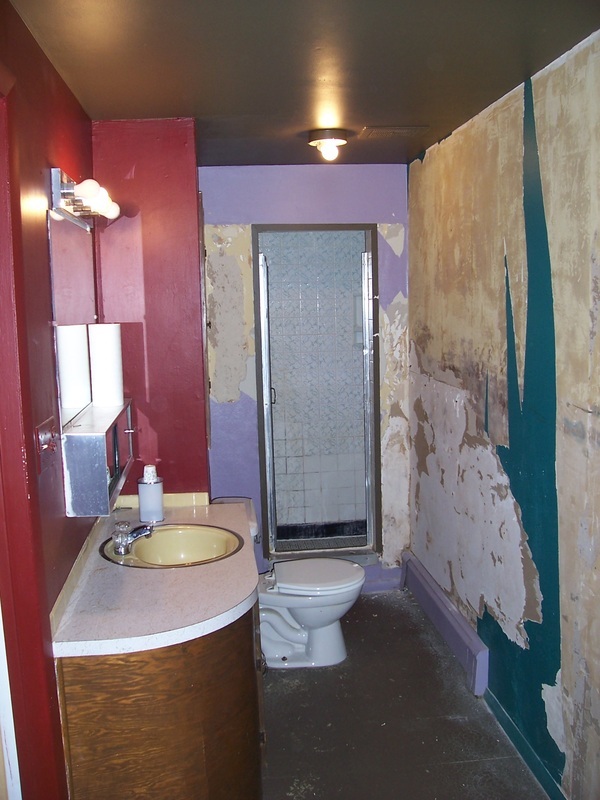 All peeling paint must be removed, sanded, primed and any cracks that could trap water must be caulked. 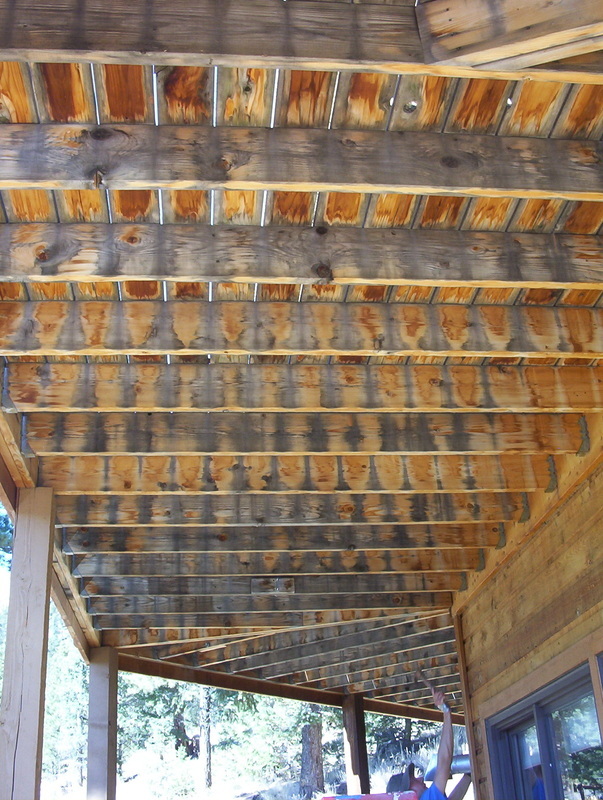 It is important to remove all dust, dirt and weathered stain before refinishing a deck. 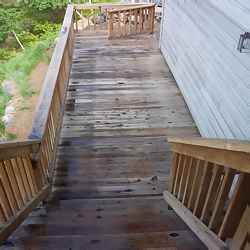 With addition of certain cleaners and the know-how of how to use them, most decks can be restored surprisingly well. We protect from over spray. We cover everything. 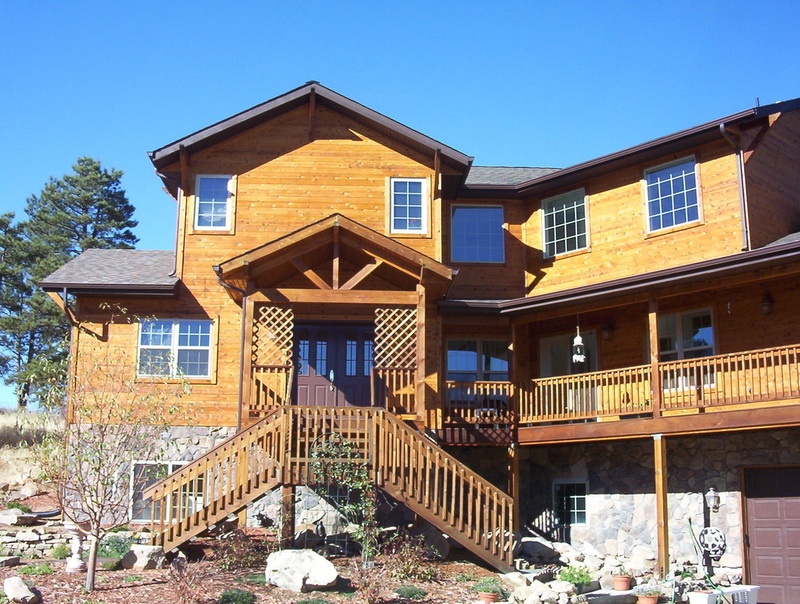 Your windows, roofs, driveways, plants, landscaping, you name it. 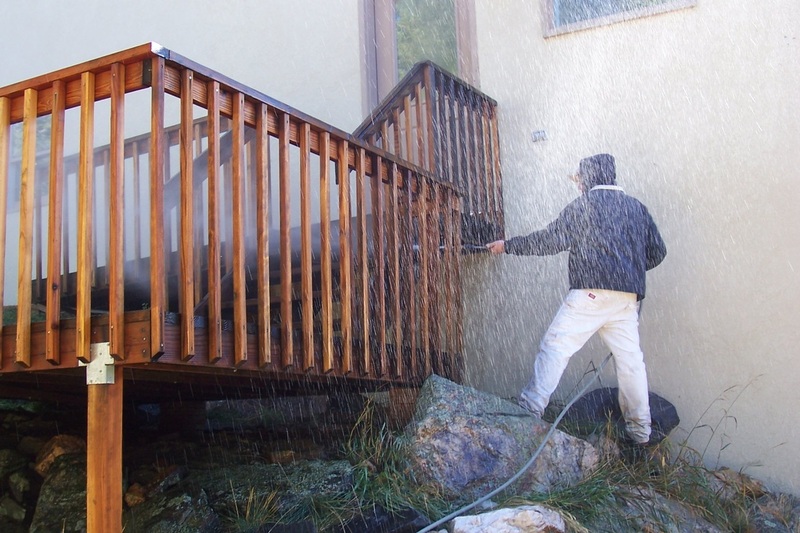 For pressure washing, make sure a machine is used that produces between 2800-3500psi. 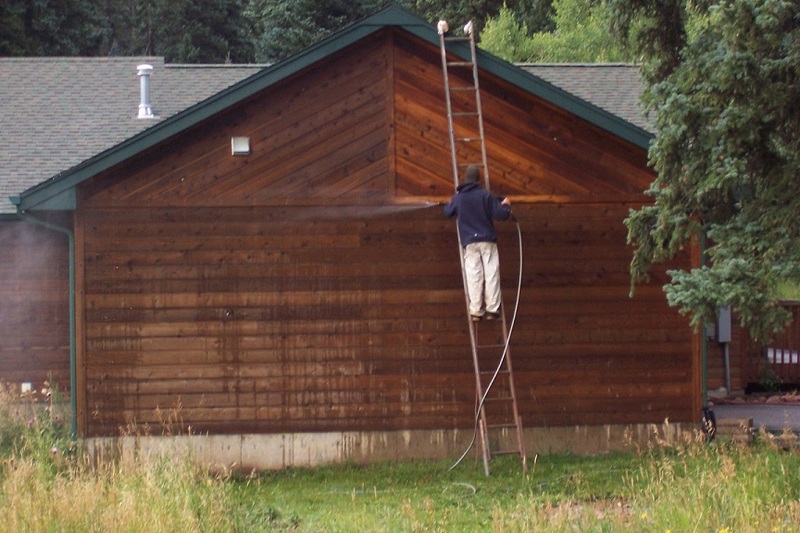 Below that range pressure is not adequate to thoroughly clean the surface and above this range you risk damaging the wood. And then, we take all the paper and plastic off. We reinstall your lights, wipe up any little bit of stain that found its way thru the masking and leave you with another immaculate paint job. We use only high quality products by companies like, Sikkens, Benjamin Moore, Devoe and will make sure that you choose the color you will like. 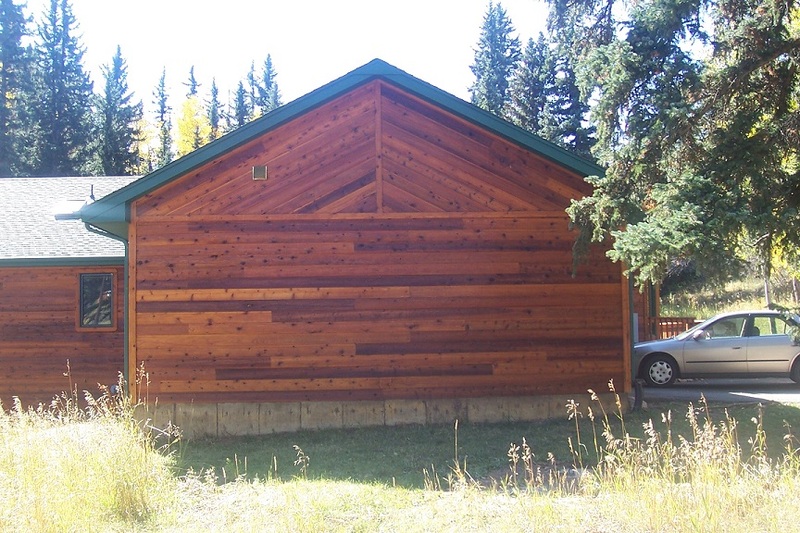 Estimates for complete exterior paint jobs, always include us putting samples of at least three colors on your home. You will not have to make a choice based on a small square inch sample, nor will you have to run around picking up paint samples. 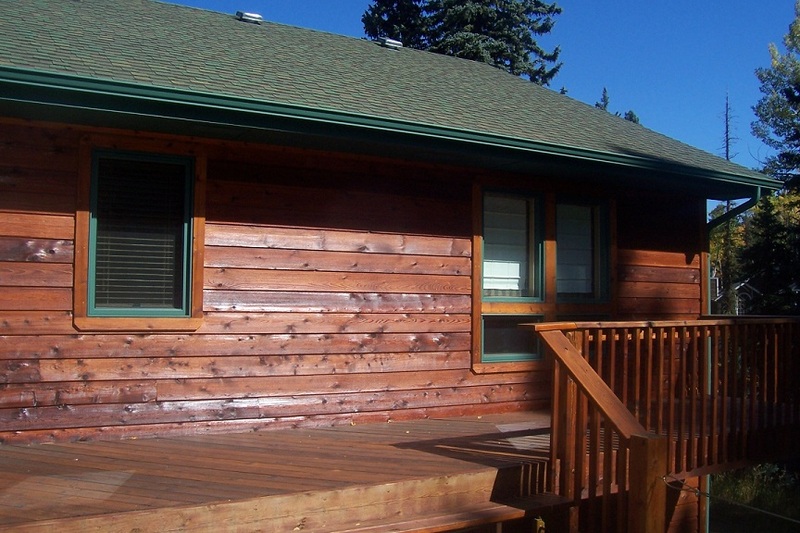 We do take special pride in the refinishing of natural wood sided homes. 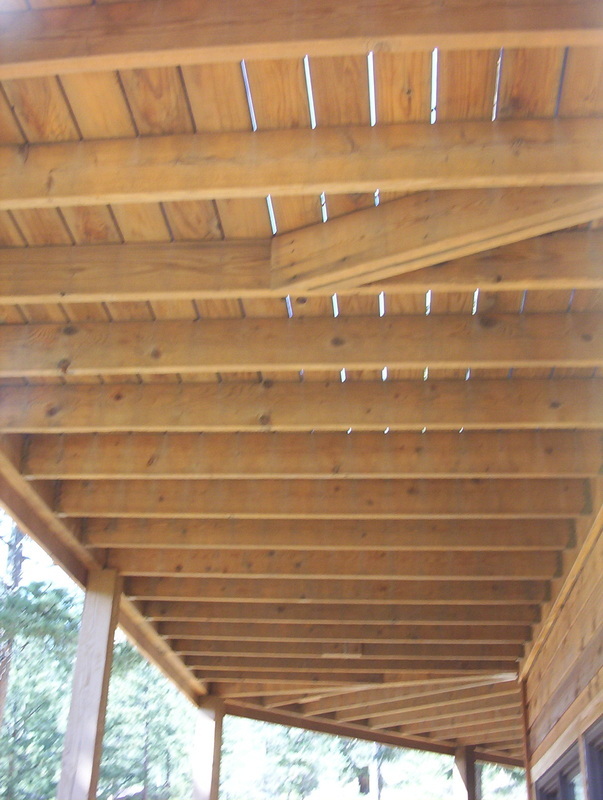 We have developed our very own process and have established a reputation for being one of the premier applicators of Sikkens transparent multi coat system. 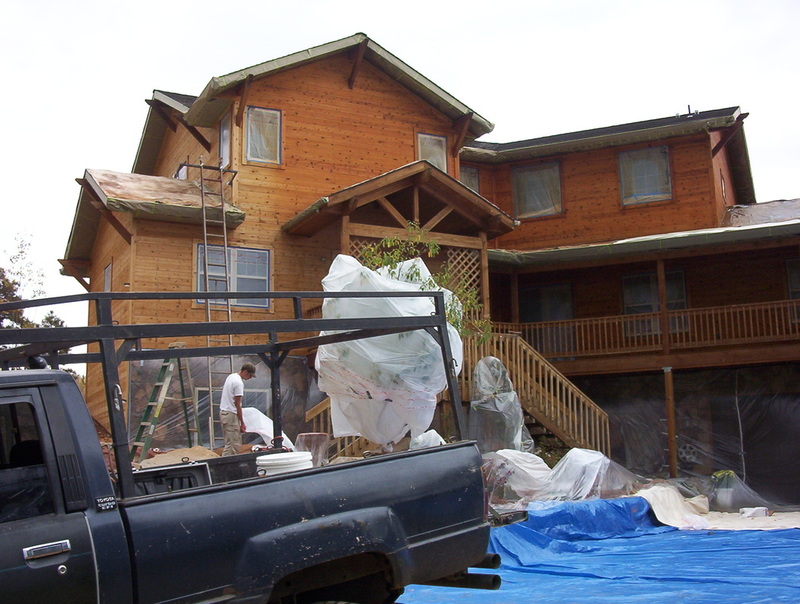 Before you let anyone try to refinish your home, give us a shout. Let the pictures speak for them self's. Timberline is Top of the Line!